A candy striper was kidnapped by a mental patient, taken down to the basement area of the hospital, tortured, and decapitated. The legend is that she still roams the hospital on the 3rd and 4th floors. 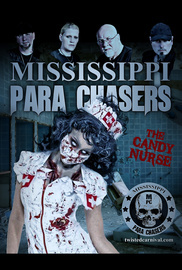 The MPRI paranormal team sets out to see if they can debunk the legend on Mississippi Para Chasers.